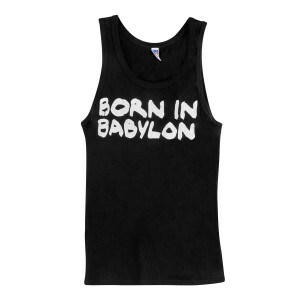 Born In Babylon distressed print front. SOJA distressed print back. Royal Apparel 100% Cotton Jersey Tank. Made and Printed in the USA.